Leanne Bridgewater – Alternative Anniversaries. 10 image and text greetings cards for the most important days of the year. Click here to view. 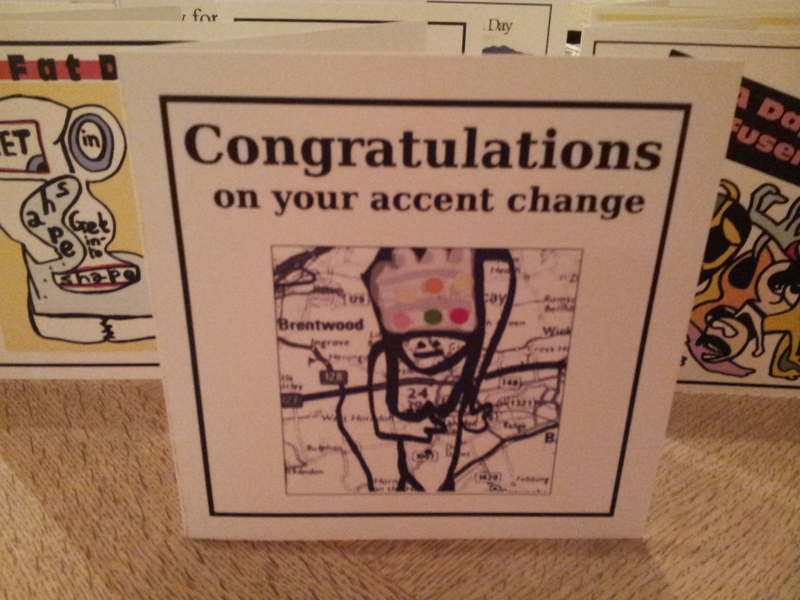 How else will you mark Get Fat Day or congratulate a friend on their accent change? Available via PayPal for£10 a set in the UK and £15 a set elsewhere, both including postage. Other payment methods, including exchanges, are welcome. Email for details. Leanne Bridgewater is an experimental poet and quirky artist with an MA in Creative Writing: Innovation & Experiment. She performs and organises art events nationally, whilst being involved in many interesting creative projects. She is currently using eBay and toilet waste to create her next works of writing. Soon, her poetry will be published in The Dark Would vispo anthology and The Beard of Bees.